Even though asphalt is one of the oldest surfacing technologies in the world, with a history that stretches back to our earliest times, advances in asphalt paving continue to march on. We keep finding new ways to make asphalt quicker and easier to lay as well as finding new ways to make it safer for people and the environment. Today, asphalt processes based around reclamation and recycling are the foundation of most modern asphalt work with specialized techniques and equipment involved. If you’ve ever been curious about the technologies behind modern asphalt, here are three modern processes that Bannon Paving is proud to utilize! A large machine, called a cold planer, slowly drives down the street, trailing a drumhead covered in spikes that dig into the asphalt, rip it up, and capture it. A series of conveyor belts carry the milled asphalt to waiting trucks, and then the reclaimed asphalt is taken back to the plant to be mixed in with new paving. The milling process leaves the sub-base intact so new asphalt can be installed over top, creating a new, smooth surface that saves both time and money on a paving project. Moreover, recycling the old top surface and bypasing a full reconstruction boasts environmental benefits. Milling is also employed when a roadway has become too elevated, due to repeated repaving, and needs a few inches taken off the top. Pulverizing is similar to milling, in that a huge machine drives along the roadway, ripping up existing asphalt. Unlike milling, pulverization is the first stage in reusing asphalt to re-pave the same area. Pulverization leaves several inches of ground-up asphalt where old asphalt paving used to be. This makes it possible to then reform that asphalt into a solid surface, through stabilization. Stabilization is the second part of the process begun through pulverizing. Once the crushed asphalt is left behind, a mixture of tar and other waterproofing and binding agents is overlaid, so that the binding fluid thoroughly mixes in with the crushed asphalt. After a day or so to harden, the result is a rebuilt asphalt road or driveway – made using a minimum of new material, but every bit as strong and reliable as when the road was laid in the first place. Between pulverizing and stabilization, it’s possible to quickly replace asphalt with a minimum of cost, effort, and traffic disruption. 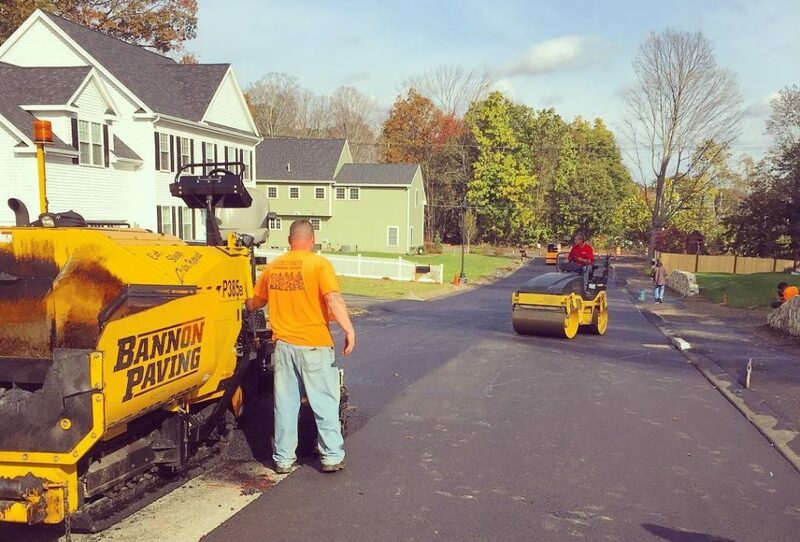 This entry was posted in Paving and tagged Asphalt, Milling, Pulverizing, Stabilization. gread work! Asphalt recycling can save costs and protect the environment.